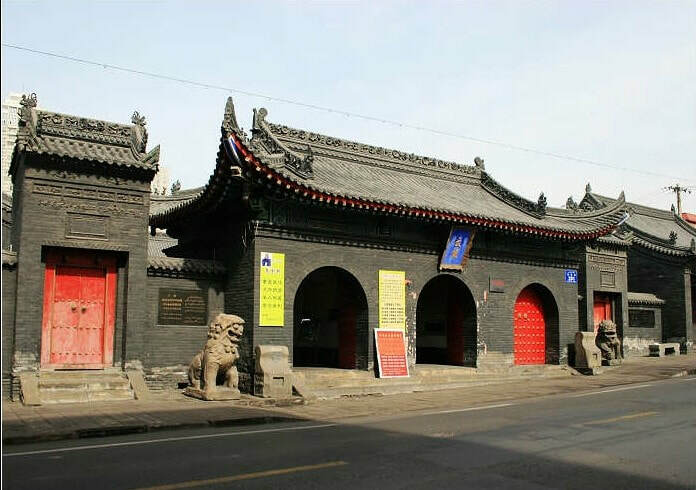 The Confucian Temple is a building complex of brick and wood structure in the Qing Dynasty style. It has the front and the rear halls, and two groups of side hall in the east and west. There are two symmetrical bell-and-drum buildings. The front hall offers overhanging eaves and brackets. Confucian Temple in Urumqi shows that Xinjiang is keeping in close touch with the mainland China. Black bricks, carved beams and painted rafters demonstrate the typical characteristics of the whole building. It is majestic, antique, elegant and quiet. The temple features a rehearsal exhibition of Confucius at Decheng Hall, which combines the three characteristics of other Confucian Temples across China and gathers Confucius, the four of his followers and the twelve best followers at one room. At Dacheng Hall, you will be amazed at large statues and high relief statues. All of them are lifelike and awe-inspiring. There are various sacrificial utensils in front of the Confucius statue for visitors to pay homage. The best time to visit the Confucian Temple is in the morning during the opening hours. The best months to visit are from April to July and from September to October. A few buses pass by the temple. Therefore, there are only a few options. Rent a vehicle to the mosque. This is the quickest and most direct option. Opening hours: 10:30 – 13:30, 15:30 – 19:00 (Tuesday - Friday); 11:00 – 18:00 (Saturday - Sunday); the temple is closed on Mondays. As at 28th December 2018, it is free to visit Confucian Temple. During the Spring Festival and Spring Lantern Festival, the temple fair is worth visiting. Interested in visiting the Urumqi Confucian Temple on a Tour? Wendy Wei Tours offers a variety of different packaged tours as well as custom tours including the Urumqi Confucian Temple, among other attractions and destinations. To find out more, please visit our Tours page or Contact Us directly to find out more.